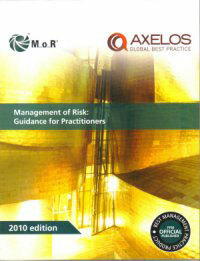 Management of Risk (M_o_R®) is a best practice method for risk management. It helps organizations identify, assess and control risks and put in place effective frameworks for making informed decisions. M_o_R® is a robust yet flexible framework that allows accurate risk assessment. It considers risk from different perspectives within an organization: strategic, programme, project and operational. SPOCE provide an extensive range of accredited M_o_R® training and certification courses. The delivery methods range from Instructor-led classroom events to Bespoke on-site client events. SPOCE can provide M_o_R® training to individuals looking to improve their risk management skills on one of our open public M_o_R® training courses. However, if there are more than 5-6 delegates within an organisation looking to take the course, SPOCE can offer more cost-effective onsite M_o_R® training course. M_o_R® method takes a best practice approach to risk management and helps you assess your opportunities systematically.